Modern plastic surgery is an essential super specialty that deals with aesthetic, reconstructive and microsurgery, hand, craniofacial surgery and burns management. 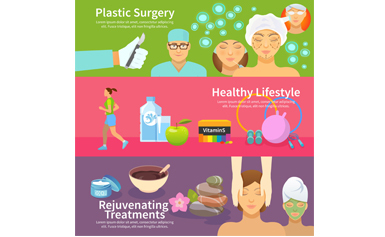 With the advent of modern equipments like liposuction, endoscopes, ultra microscopes plastic surgery produces excellent results. Multidisciplinary approach involving plastic surgeons in primary trauma care in cases of complex facillo maxillary injuries, complex limb trauma, hand injuries, diabetic wound managements and onco- reconstructions provides good psychological, aesthetic and functional results. Aesthetic surgery evaluations in correcting problems related to aging, child births, cosmetic rhinoplasties, congenital anomalies of the face and other parts are being treated successfully in our hospital. Advances in burns management have revolutionized the survival percentage in major burn injuries. Post burn corrective surgeries are being done using advanced techniques.